The office of Doctor Joseph M. Masessa, M.D. offers Superficial Radiation Therapy (SRT) - the non-invasive, non-surgical alternative for non-melanoma skin cancer. While Mohs surgery has been the traditional choice for basal cell carcinoma treatment and squamous cell carcinoma treatment, it has several serious drawbacks. The excision of cancerous tissue along with healthy surrounding tissue leads to a painful and lengthy healing process that increases the risk for infection. Patients who undergo Mohs can also be left with significant scarring. 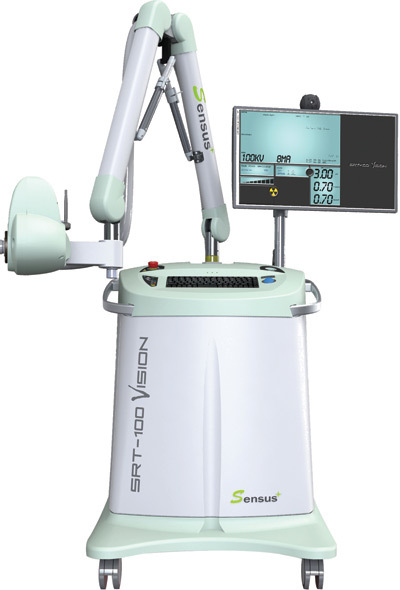 Superficial Radiation Therapy using the Senus Healthcare's SRT-100 Vision device provides a painless, safe and highly effective non-surgical option for skin cancer treatment and keloid removal. Could you be a candidate for SRT treatment? Call us today for an appointment! Unlike traditional radiation that delivers massive amounts of energy that penetrate deep into the body and can cause severe skin reactions, SRT utilizes a small, portable device that delivers very low energy just below the surface of the skin. It treats only skin cancers. Because CRT uses low energy radiotherapy, skin reactions are typically mild and very small. Two offices to serve you. Call us – we get you in sooner!